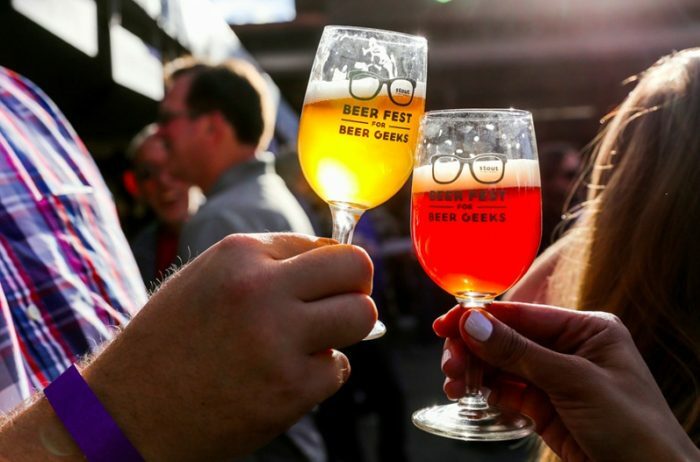 Beer Fest for Beer Geeks presents The Rarest Experience on July 1 at Stout Burgers & Beers in Hollywood. This outdoor festival features 30 extremely rare beers collected and cellared by Stout. Beer aficionados rejoice: many of these beers are not even available for purchase in the U.S., so be prepared to sip on some special suds. Some of the confirmed breweries include Firestone Walker, High Water Brewing, Dogfish Head Brewery, Jolly Pumpkin Beer, Het Anker, Tahoe Mountain Brewing, and many more. This is one of the wildest beer experiences yet, with outdoor games, music, and freshly grilled sliders to complement your brew experience. Tickets are currently on sale. VIP tickets are $60 and get ticket holders early entrance at 1 p.m, while regular admission tickets are $40, with access to the festival at 2 p.m. All ticket holders receive unlimited pours, while supplies last.